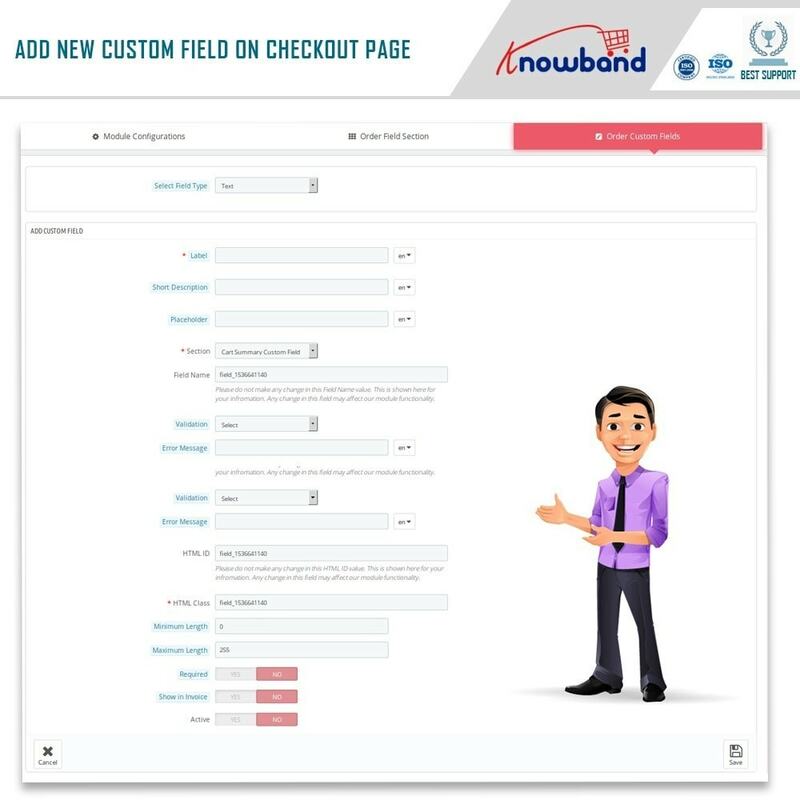 Get additional information from your customers and improve their overall shopping experience by adding custom fields on the checkout page. Prestashop Additional Order Forms/Field Manager provides an easy way to include additional custom fields on the checkout page of the website from the back-end admin interface. 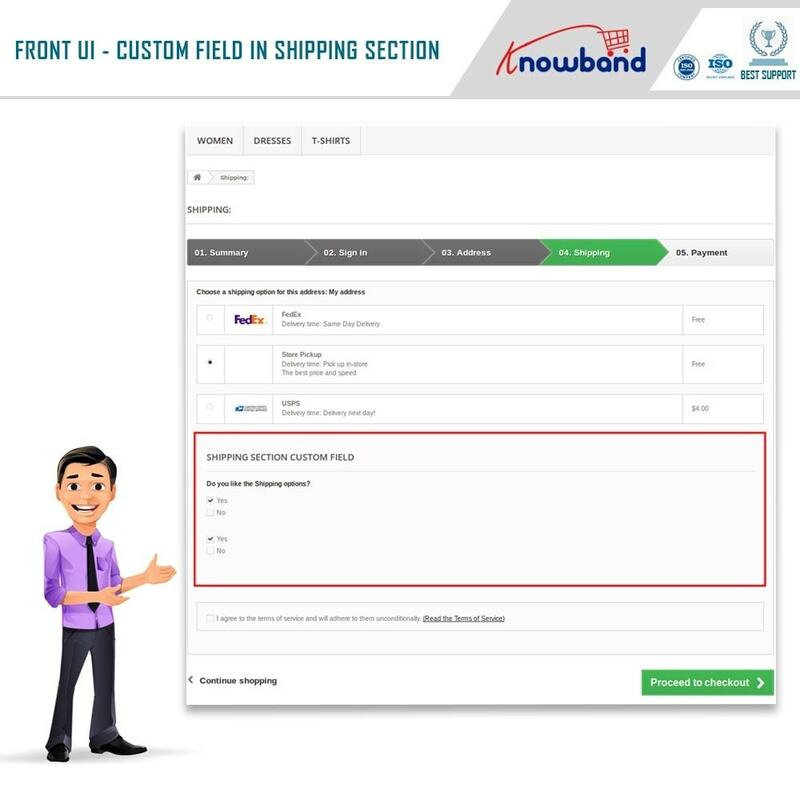 The eCommerce sellers can now add ‘N’ number of custom fields in multiple languages using custom field addon. 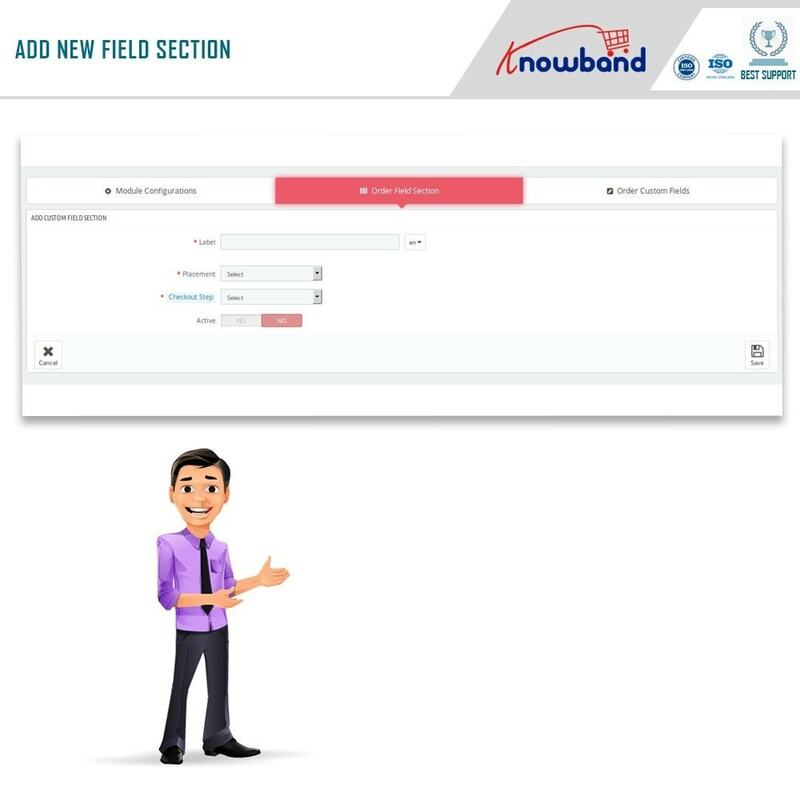 Moreover, they can create different fields on the checkout page. 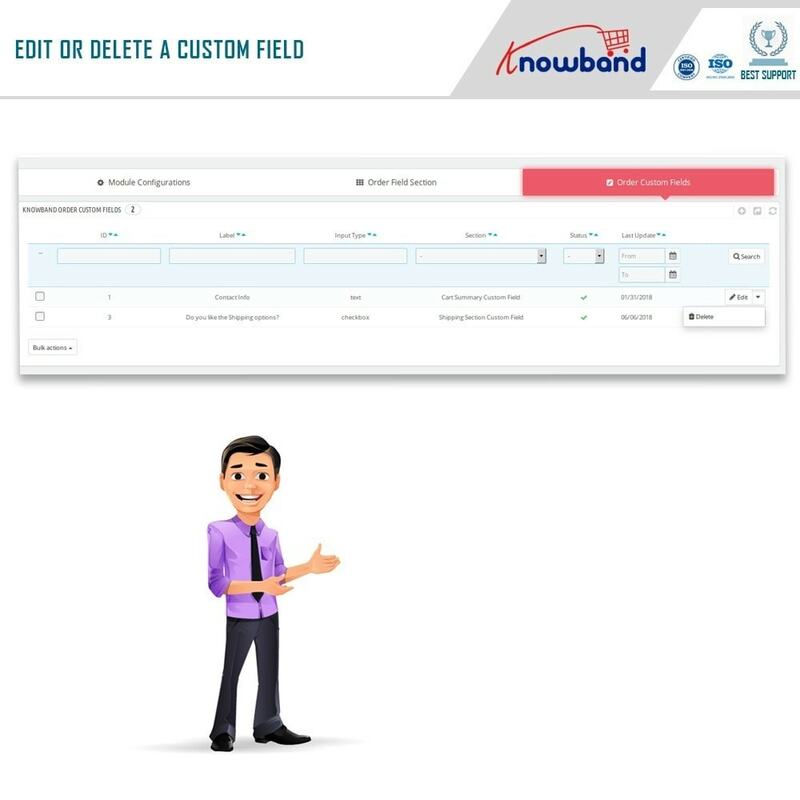 This way you can ask the site visitors to provide some additional information during their product checkout in order to understand the user perspective regarding the products and services of the store. Prestashop custom Order Field Manager module can always benefit the eCommerce store in serving a better user experience. Using Prestashop Additional Order Information addon, sellers can learn more about their customer when they are just a step away from the final purchase of the product and can prepare a better sales pitch accordingly. Moreover, you can get a better insight into the visitor's behavior and offer personalized services to the customers. 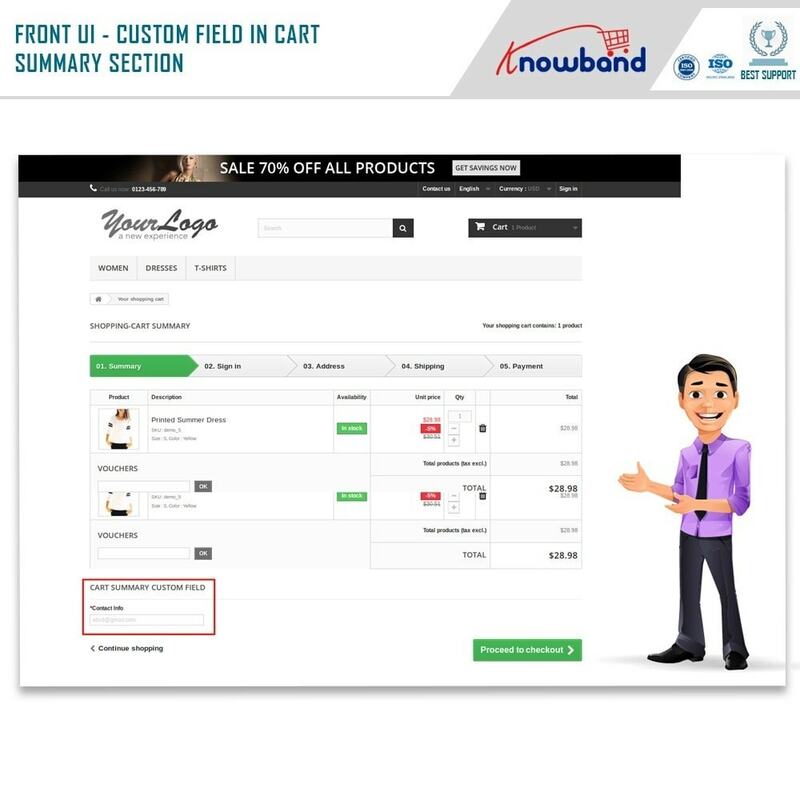 The e-merchants can get extra information from the customer using the Order CustomField addon on the checkout page. 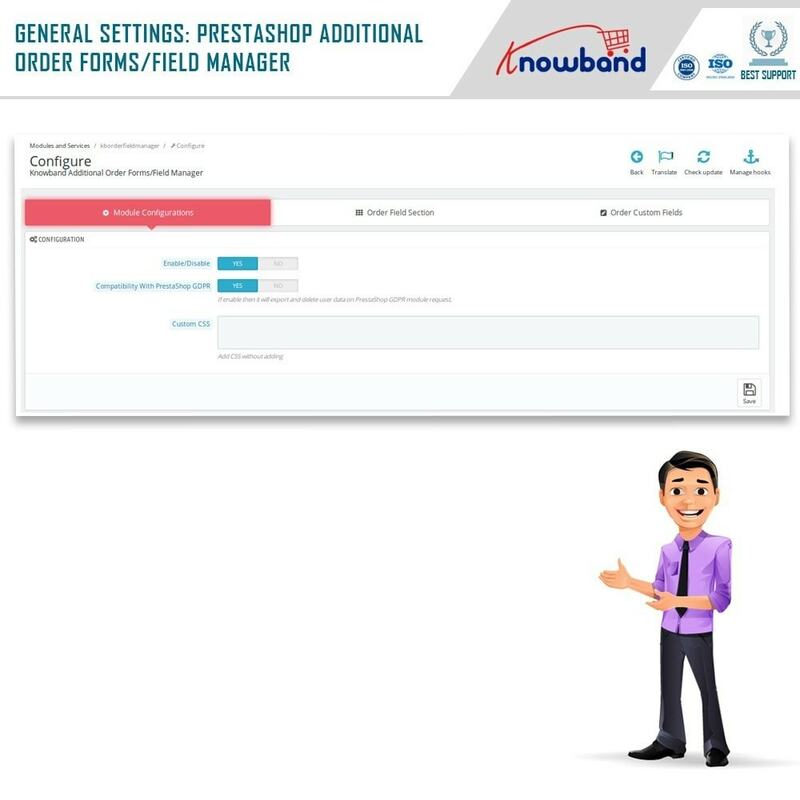 Prestashop Additional Order Forms/Field Manager allows them to add an extra field on the checkout page in minimum time and with least efforts. 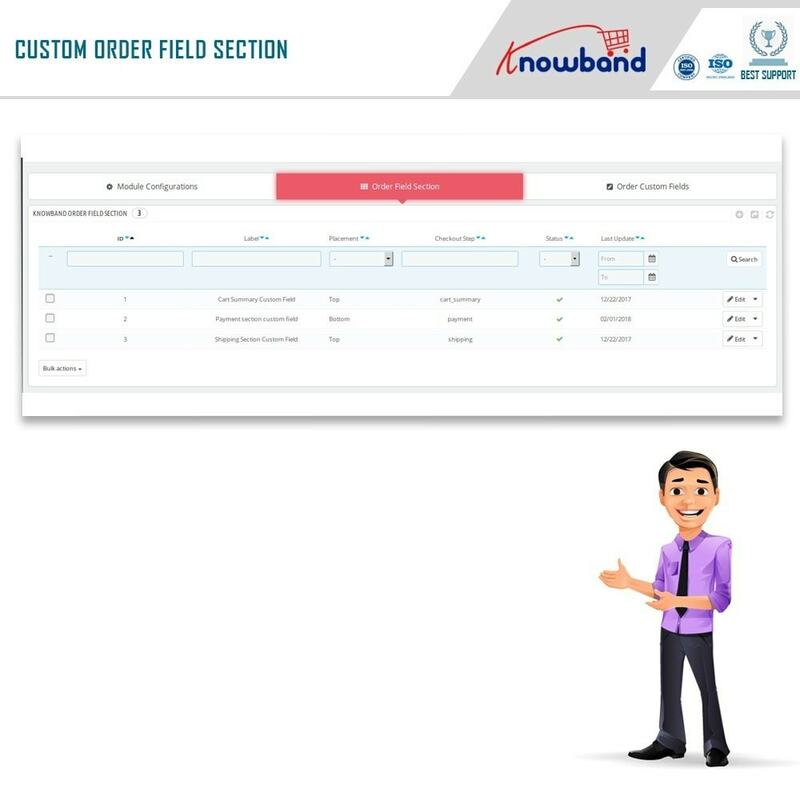 The store admin can select any type of Additional Order Information field as required. 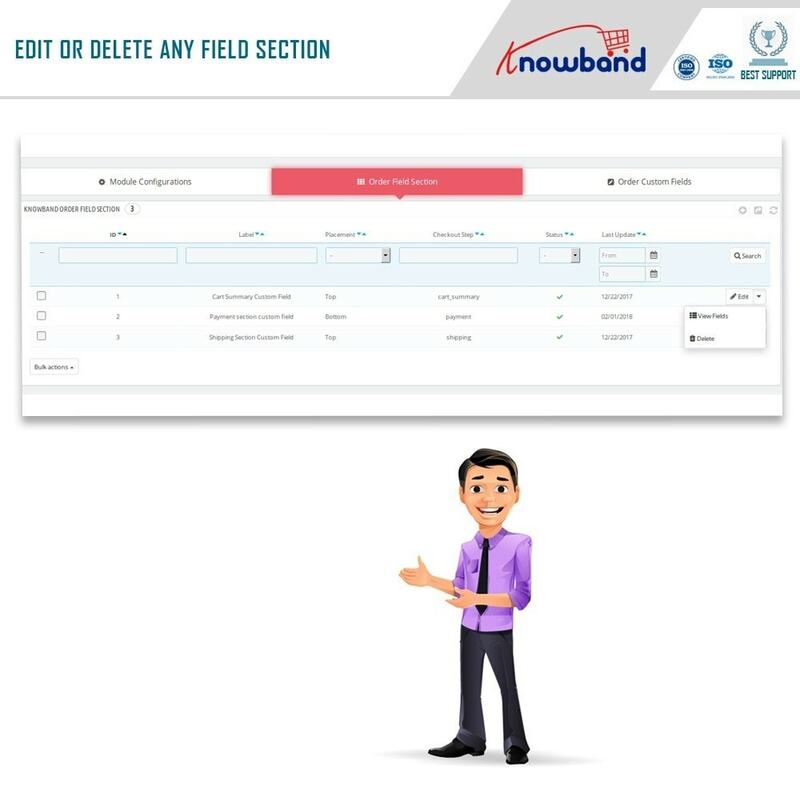 Use of drop-down menus, checkboxes and radio buttons eases your customer to fill the required information. Using Prestashop Custom Order Field Manager, the validation rules for various extra Field on the checkout can be set at a button click. 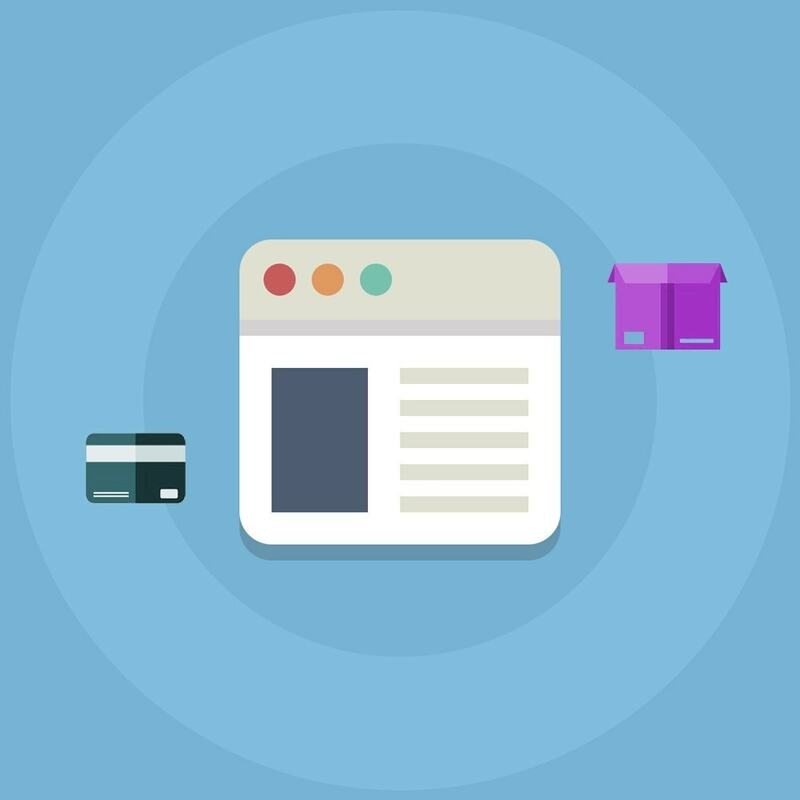 With supplementary information captured using custom field addon, the merchants can offer a personalized experience to the online shoppers. Admin can choose any field type from the Text, Checkbox, Text Area, Radio Buttons and other available options. This Prestashop module offers an automated means to add validation rules to the created fields and display a custom error message on a wrong input by the user. Using Prestashop Additional Order Field Manager, the created checkout field can be enabled, disabled, edited or deleted as required. CustomField addon lets you add an extra field to a particular checkout section as well. 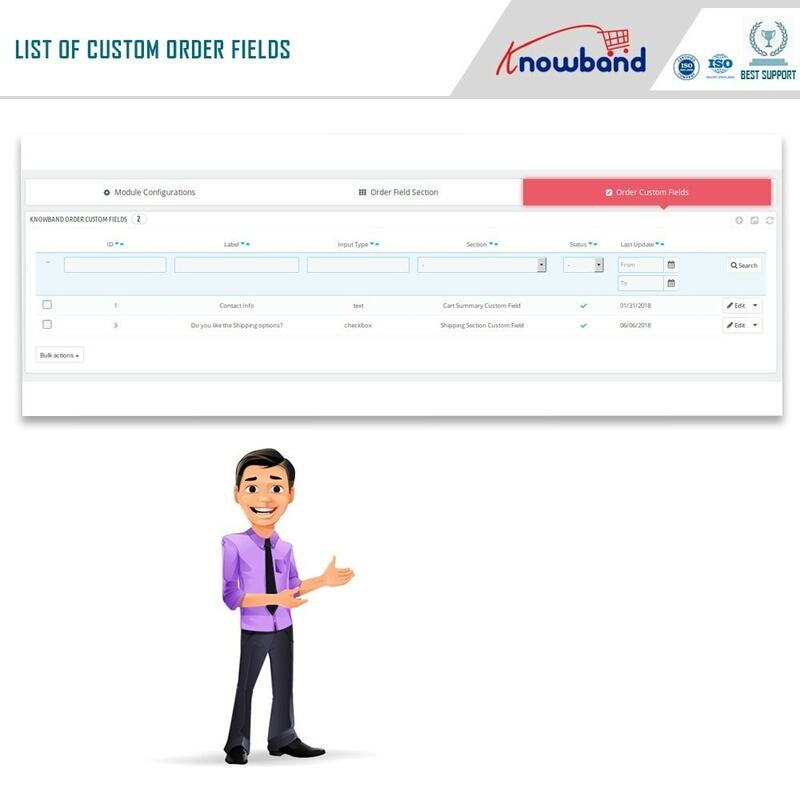 This additional information taken using custom field addon can be shown in the order profile and on the invoice as well. Prestashop Additional Order Forms Manager module offers multi-lingual and multi-store compatibility. Custom checkout field addon supports all Prestashop themes and works flawlessly on the latest version. Prestashop Custom Order Field Manager is SSL compatible.